Elizabeth is a cosplayer and Mom to Kiogenic, cosplayer extraordinaire. They’ve both won awards, but Kiogenic is the rockstar: costumer, graphic designer and artist. 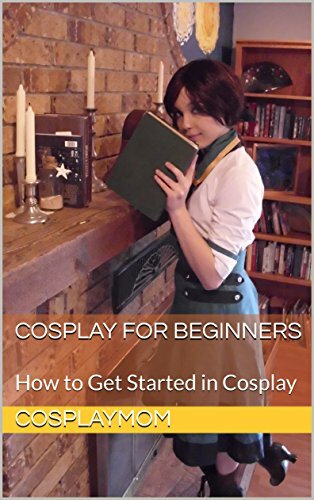 Elizabeth and Kiogenic recently wrote a book together for beginning cosplayers called Cosplay for Beginners: How to Get Started in Cosplay. The biggest thing Elizabeth has gained from participating in cosplay is insight into costuming, agency, self and acceptance. She loves cosplayers and all the people who support them. She blogs here about things she’s seen, people she’s met and questions that she has. In her day job, Elizabeth is a college professor who is a Latin Americanist specializing in popular culture, literature and the arts. She has written extensively on beauty work and beauty practices in Venezuela, Argentina and around the world in books like Beauty, Virtue, Power and Success in Venezuela 1850-2015, and Beauty Around the World: A Cultural Encyclopedia. She travels frequently to conventions in the United States and Latin America to interview cosplayers and see all of the amazing creativity out there on display. If you are a cosplayer or have thoughts about cosplay, she’d always love to hear from you! no worries on the cosplay.com stuff- I had the same experience when I joined. Your first posts have to be moderated, and that can take time. I just wanted you to know that the thread existed. It’s been nice for me to make contact with other cosplay parents.